Don’t be a Fon-sucka and miss out on this incredible item! The Fonseca 10-10 Maduro is a classic smoke, one of the most popular that Fonseca makes that has earned it’s place in millions of humidors across the country. This box was discovered during inventory sporting a receiving label from 2010! 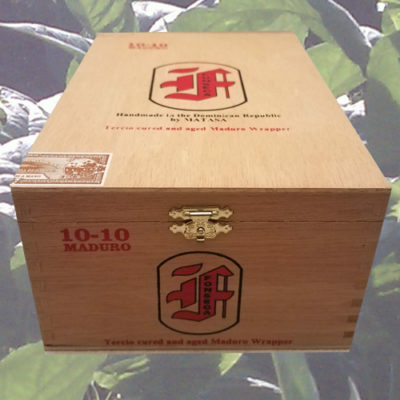 Almost 8 years of age on these mild and creamy smokes, if you’re a Fonseca fan you’ll want to snap this box up fast and find out what time has done to this terrific blend.